Omni is honored to be a part of the Skidmore, Owings & Merrill team that created an innovative new design for the O’Hare Global Terminal. The SOM team is one of five competing to design O’Hare’s $8.5 billion expansion. Check out the full design proposal and vote at Vote ORD 21. 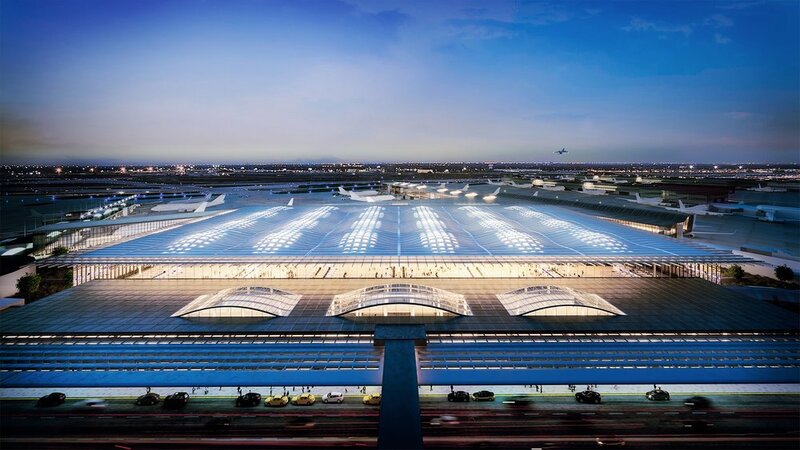 ”The City of Chicago and its airline partners are moving forward on a historic plan that will transform O’Hare International Airport with the biggest terminal expansion ever. A new Terminal Area Plan for O’Hare will completely redevelop the terminals and concourses, with Terminal 5 to undergo an upgrade and expansion, Terminal 2 to be largely demolished and rebuilt to include a brand new international arrivals facility, and renovations made to Terminals 1 and 3.